Sony India today on 19th June 2017, announced the new 4K HDR television series designed to deliver even wider brightness range and higher contrast. 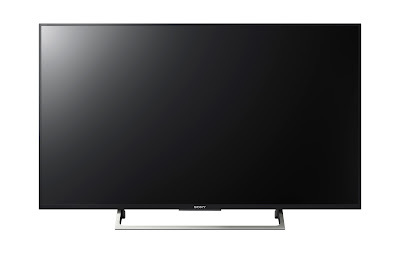 The new BRAVIA™ TVsmake the best use of 4K HDR (High Dynamic Range) content with the combination of their unique image processor and display device technologies. Customers can now enjoy smartphone contents (Photos, Music or Videos) on their BRAVIA with an ease to use feature. 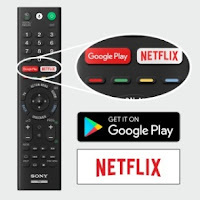 One can simply connect an Android smartphone to BRAVIA through a micro USB cable and navigate all smartphone contents using TV remote that too with better picture and sound. The feature also enables navigation through smartphone contents using TV Remote, whereas color keys can be used to toggle between. · The flagship series with Sony’s powerful picture & sound technologies delivers the ultimate viewing experience. The front facing slim Magnetic Fluid speakers produce a full range of crisp, distortion-free sound. Together with High-Resolution Audio support, these innovative speakers reproduce your contents with an immersive surround effect. · Features Slim Backlight Drive+ with a unique quad-edge LED structure, allowing precise local dimming control which provides exceptional brightness and deeper blacks than a conventional full-array LED TV in an ultra slim design. · Features 4K HDR Processor X1™ Extreme, providing the ultimate 4K HDR viewing experience by incorporating three new technologies: Object-based HDR remaster, Super Bit Mapping 4K HDR and Dual database processing. · X-tended Dynamic Range™ PRO enhances HDR and non-HDR content by boosting and dimming the backlight levels precisely for each zone of the screen with a unique backlighting technology (10 times XDR contrast1).· Features vibrant, expanded colour with TRILUMINOS™ Display, further enhanced for colour accuracy. · The X95E Series, a high-end fusion of stunning 4K HDR visuals and phenomenal interior design, features a back panel that makes the product look right at home wherever it stands in a living room environment. Rounding out the back panel’s ensemble is the leather texture of the rear cover, which helps augment the visual presence. · With slim, chair-like legs on a thin slate to accentuate the lightness of the overall look and provide balanced support, the stand houses all cables, simplifying the leg area. · The ultra slim design allows for swivel wall mounting and clean cable management for table top mount. · Android TV lets you explore a world of movies, music, photos, games, search, apps and more. Voice Search to find content, ask questions and control your TV. With Chromecast built-in, you can easily send content from your smartphone or tablet to the TV. With access to Google Play™, you can enjoy what you like to do on a smartphone or tablet, from their TV. 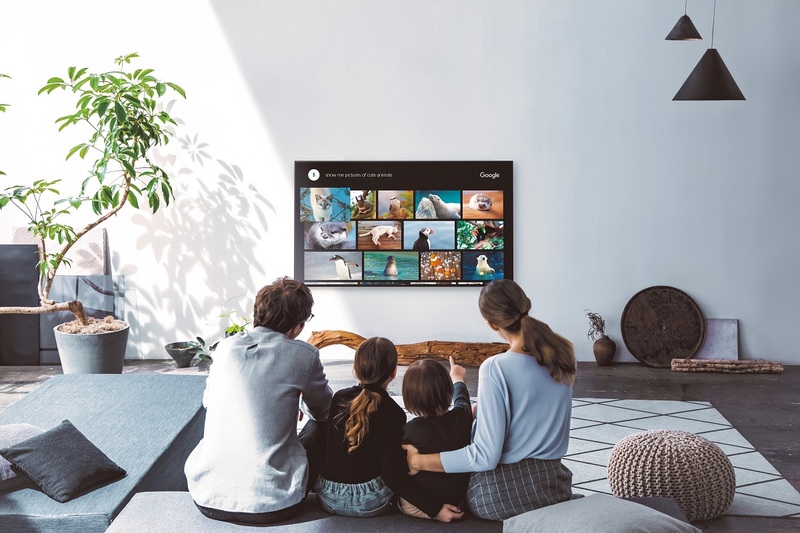 · Sony’s exclusive Content Bar user interface allows you to comfortably browse content quickly and intuitively without disrupting your TV viewing. · Enjoy seamless Bluetooth connectivity with A2DP support. Experience superior sound quality with a wide range of Sony wireless headphones. · Features Slim Backlight Drive+ with a unique quad-edge LED structure, allowing precise local dimming control which provides exceptional brightness and deeper blacks than a conventional full-array LED TV in an ultra slim design (X9300E only). · X-tended Dynamic Range™ PRO enhances HDR and non-HDR content by boosting and dimming the backlight levels precisely for each zone of the screen with a unique backlighting technology (10 times XDR contrast1). 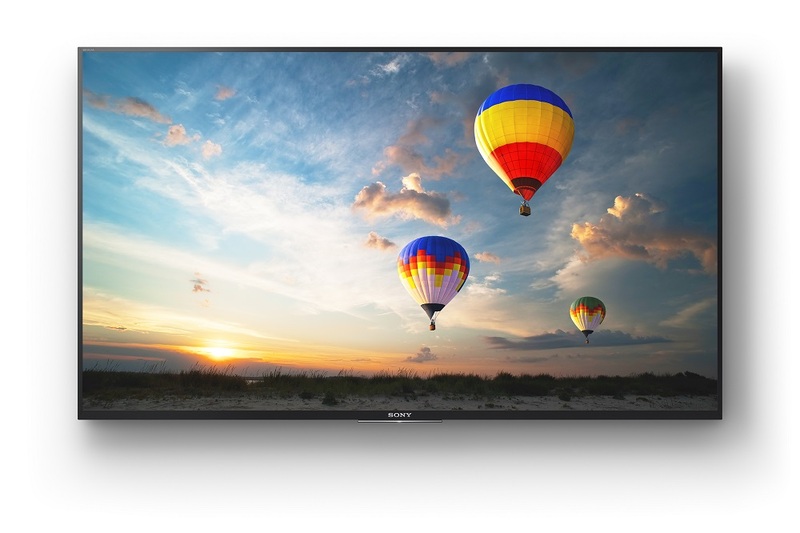 · A high-end fusion of stunning 4K HDR visuals and phenomenal interior design features a back panel that makes the product look right at home wherever it stands in a living room environment. Rounding out the back panel’s ensemble is the leather texture of the rear cover, which helps augment the visual presence. · With slim, chair-like legs on a thin slate to accentuate the lightness of the overall look and provide balanced support, the stand houses all cables, simplifying the leg area. The bottoms of the two slates are staggered vertically—and that’s to create a space for the speakers to emit sound straight ahead, maximizing the quality of the audio. · The ultra slim design allows for flush with the swivel wall mounting and clean cable management for table top mount. · Features 4K HDR Processor X1, reproducing more depth, textures and natural colours with Object-based HDR remaster and Super Bit Mapping 4K HDR technology. · X-tended Dynamic Range™ PRO enhances HDR and non-HDR content by boosting and dimming the backlight levels precisely for each zone of the screen with a unique backlighting technology (5 times XDR contrast1). 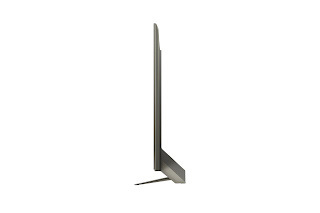 · The X9000E Series features a design that takes minimal presence to a new level. The stand, which combines a low-profile slate and slender legs for support, underscores that light feel with gentle curves. On the back panel, meanwhile, the slimmed-down peripheral area finishes off the total form with a svelte grace. · HDR compatible to receive and process the new video standard signal with higher brightness, higher contrast and more vibrant colours via Internet video services, HDMI and USB port. · This series features Sony’s new 4 x 4 Sound System .The large-capacity two-way speaker system features a tweeter and woofer for both the left and right channels, each individually powered by its own separate amplifier. 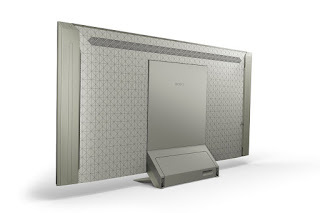 By driving each speaker independently, the system reproduces a crisper, more dynamic sound. Movies come alive with crystal clear dialogue and exhilarating sound effects. · The ultra slim form factor comes with sleek rear design and clean cable management for table top mount. · Go straight to YouTube and enjoy all your favourite videos. 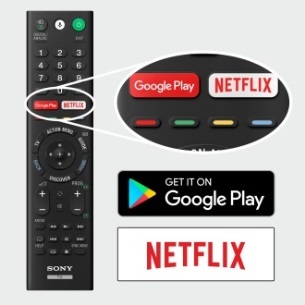 Experience YouTube faster than ever on this Internet-ready TV with the special YouTube button on the remote control for easy browsing. 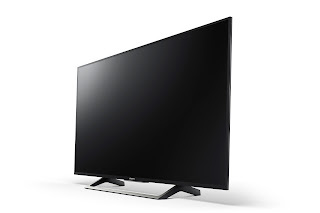 · Wide variety of built in apps from Sony & Opera TV store allows customers to stream contents, play games & a lot more.